April 10, 2019–Businesses, community leaders, and conservationists from across the region today applauded the introduction of legislation by Rep. Jared Huffman and Sen. Kamala Harris that would protect and restore some of Northwest California’s most unique lands and waters, improve community safety from fire, and help local communities capitalize on the region’s reputation as an outstanding destination for fishing, hunting, hiking, mountain biking, and other outdoor recreation opportunities. The Northwest California Wilderness, Recreation, and Working Forests Act would conserve approximately 262,000 acres as wilderness, designate 379 miles of new wild and scenic rivers, and create a special restoration area of more than 700,000 acres. The bill was crafted after years of input from business leaders, conservationists, anglers, mountain bikers, fire management professionals, and other stakeholders interested in the enjoyment and well-being of these iconic lands. spurring new infrastructure and upgrades to old roads, trails and camping facilities, and by improving forest health and resilience to wildfire. According to the Outdoor Industry Association, outdoor recreation generates $92 billion in consumer spending and 691,000 direct jobs in California. Residents of the state’s 2nd congressional district spend $1.93 billion annually on outdoor recreation, and 134 outdoor companies are based here. The legislation would establish the Elk Camp Ridge Recreation Trail for off-highway vehicles and mountain bikes, and the Horse Mountain Special Management Area. It would also call for developing a Regional Trails Plan and studying the feasibility of establishing The Bigfoot National Recreation Trail, which would highlight the world- renowned botanical and biological diversity found in this region. The measure would also help improve community fire safety by creating a network of roadside shaded fuel breaks in the South Fork Trinity-Mad River Restoration Area, and requiring the US Forest Service and the BLM to work with local residents to create a new coordinated fire management plan for all of the designated wilderness areas in the region. The Northwest California Wilderness, Recreation, and Working Forests Act was built from the ground up to protect the unique public lands and waters of Northwest California, enhance outdoor recreation opportunities, help safeguard local residents and communities from catastrophic wildfire, restore vital fish and wildlife habitat, and boost the regional tourist and recreation economy. The Northwest Mountains and Rivers Campaign is a coalition of conservation organizations, business owners, land owners, biologists, hunters, anglers mountain bikers, and other community members who support congressional efforts to protect special places, restore watersheds and fisheries, support economic development, enhance recreational opportunities, and protect communities. 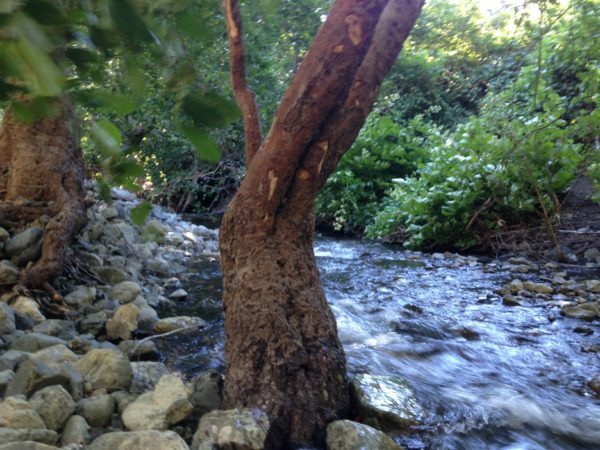 The federal coho recovery plan identifies Olsen Creek as a high priority restoration target. This Hayfork Creek tributary may also provide important thermal refugia for coho and other anadromous fish. Rusch Creek is an important cold water contributor to Hayfork Creek and may provide a thermal refuge for anadromous fish. The creek supports moderate to high densities of steelhead. Madden Creek is one of the few lower South Fork tributaries with good water quality due to its relatively undisturbed watershed. 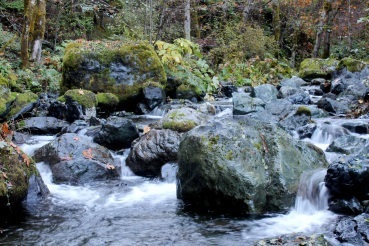 Cold water from Madden Creek creates a critical thermal refuge for coho salmon migrating up the South Fork and the lower segment of the creek offers suitable habitat for coho, Chinook, and steelhead. Grouse Creek is a high priority watershed for the restoration of coho and other South Fork fish stocks. The creek is also offers potential thermal refugia for fish migrating up the South Fork. A government fisheries report describes Eltapom Creek as the “gem” of the South Fork due to its excellent spawning gravel, holding pools, and dense riparian corridor. A critical thermal refuge, the creek supports endangered coho salmon and high densities of winter steelhead, as well as suitable habitat for spring Chinook salmon. These proposed Wild and Scenic Rivers flow through or are located upstream of Redwood National Park. They provide important habitat for threatened and endangered salmon and steelhead and nationally significant recreation opportunities. 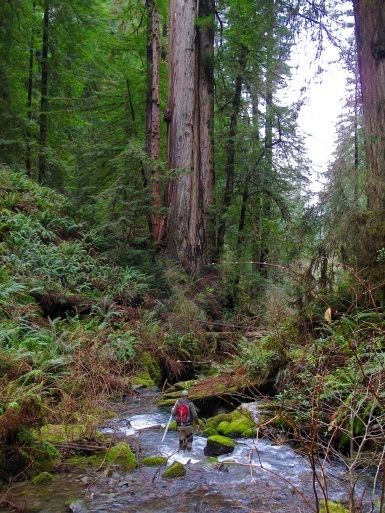 A major tributary of Redwood Creek, Lacks Creek was determined by the BLM to be eligible for Wild & Scenic protection due to its outstanding old growth forests and anadromous fishery values. Federal officials recently identified the creek as essential for the recovery of threatened salmon and steelhead. The public lands in the Lacks Creek watershed are managed by the BLM to provide a wide variety of outdoor recreation, including mountain biking, hiking, camping, angling, and hunting. The lower 2.7 miles of Lacks Creek is proposed as a “potential” Wild and Scenic River pending acquisition for public conservation purposes. 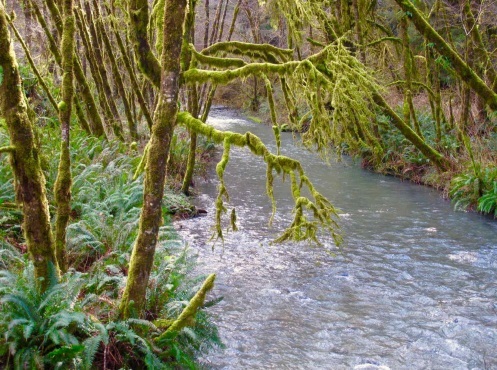 Supporting self-sustaining populations of Chinook and coho salmon, steelhead, and coastal cutthroat trout, these streams are important to the recovery and expansion of the anadromous salmonid populations of the Redwood Creek basin. Little Lost Man creek provides high quality refugia for at-risk fish species and Lost Man Creek has high potential to provide refugia. 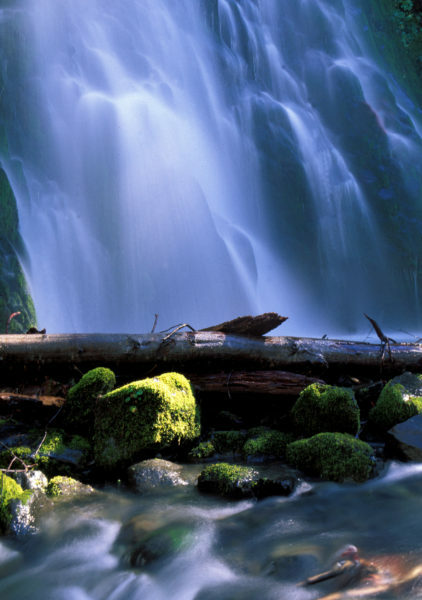 The outstanding and irreplaceable ecological values of these streams are recognized world-wide as part of the Redwood National Park World Heritage Site. The streams provide an excellent opportunity for scientific study of disturbed and undisturbed watersheds. The Wild and Scenic Black Butte River flows northwest for almost 30 miles from the crest of the northern Coast Range to the Wild and Scenic Middle Fork Eel River downstream. The proposed wilderness is situated in the river’s V-shaped, rugged canyon, where it hosts resident trout, Chinook salmon, and winter-run steelhead. 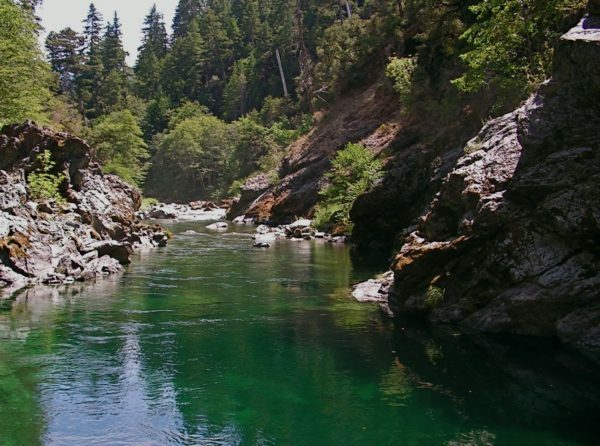 Downstream, the Middle Fork Eel supports what is presently considered to be the southernmost population of summer-run steelhead on the West Coast and the largest single run of summer steelhead in the state. Rich oak forests, meadows, and abundant ancient pine, fir and cedar forest grace the slopes above the river. The Forest Service notes that the region contains so many pristine archeological sites that it is of “exceptional” cultural importance. The Black Butte has been rated as a class IV+ stream (very difficult) by American Whitewater for those brave enough to kayak it. The Bauer brothers had this to say in American Whitewater Journal after running the stream in the 1970s: “The Black Butte is an all-time classic! We all agreed that we had never experienced a better combination of fantastic rapids, beautiful scenery, abundant wildlife, and isolation from humanity. Along the way we saw a bear, otters, golden eagles, deer, and some bunnies…For more than twenty miles along the river corridor there were literally no traces left by mankind. Pure wilderness at its best. I can hardly say enough about the quality of the rapids – mile after mile of exhilarating class III-IV+.” The proposed wilderness also has several historic foot and horse trails that offer almost guaranteed solitude. 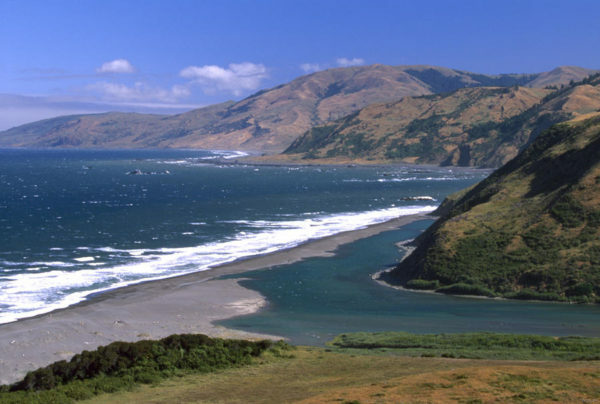 Located in the King Range National Conservation Area, the Mattole Estuary provides important anadromous fish habitat for coho and Chinook salmon and steelhead. Federal officials recently identified the river as essential for the recovery of threatened salmon and steelhead. The estuary also provides habitat for several rare plants. A popular campground and recreation site near the mouth of the Mattole that attracts campers, hikers, hunters, and birders, and provides the northern access point for visitors hiking the Lost Coast Trail. The Mattole River is recommended for protection by the BLM.